This Sunday, July 14, marks our first lay service of the summer. It will be led by Gary Nelson, a circle dance instructor who has been with us on several occasions previously. 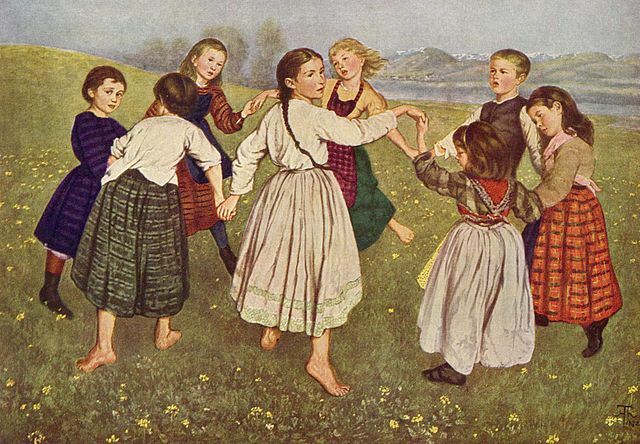 Circle dance has grown out of the European traditional folk dance community thanks to a German dancer named Bernhard Wosien, who believed that many traditional dances were being lost to modern culture. He traveled through Western and Eastern Europe collecting and annotating an enormous repertoire of circle dances. Since the 1970s, the circle dance community has greatly expanded, and members have added to the repertoire through the years.The dances come from all parts of the world; some are traditional, some are new, and most of them represent a story. As the name implies, the dances are performed in a circle. Dancers hold hands and the circle moves as a unit. Dances are performed to music from Greece, Israel, Scotland, Bulgaria, Russia, Romania, France, the Americas, and elsewhere. Some dances are energetic, others are meditative. All dances are taught first, so experience is not required. The circle dance steps are simple, so children and adults of all ages are welcome. You won’t need a partner because everyone in the circle is your partner. Wear comfortable, loose clothing.